Everything was perfect!!! The owner/manager is a Really nice person!!! Very comfortable, clean and beautiful houses! Hosts are very nice and helpful. Great hospitality! High standart! Warm athmodphere! Perfect place,spacious and clean.Million dollars view and terrace ideal to spend a whole day enjoying the view in peace.The beach which is close by could be reached through the hotel Melathron,but it's very clean and nice,with crystal water.Very nice and welcoming host.We got a drink for welcome and also allowed us to have a later check out without any problem.Strongly recommend. Overall the property is perfect, nice place for a family time, clean place, fast wifi, polite and friendly staff. We enjoyed in full staying in this property. 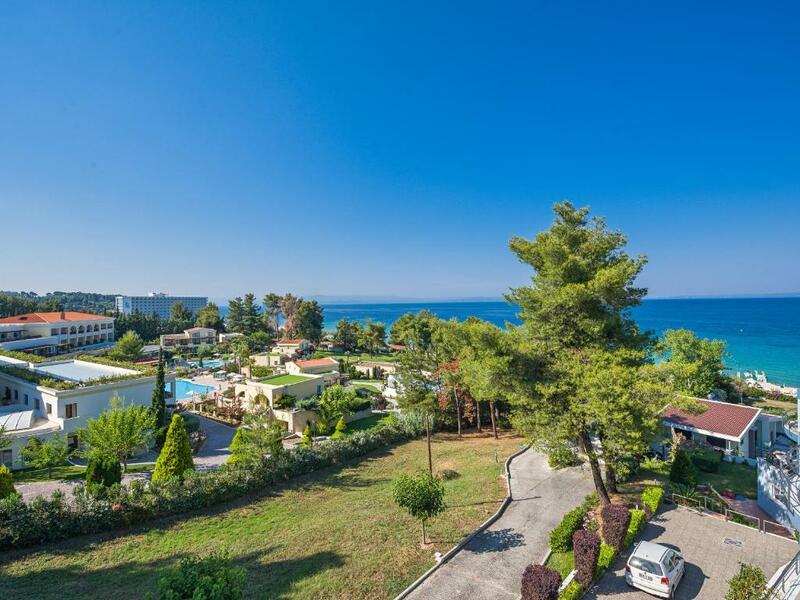 Perfect location, very close to the sea, balcony with a beautiful view. Very clean and tidy place fully equipped and spacious. The internet connection was so fast that we could even watch movies on line. The owners are very hospitable always ready to help. They allowed us to stay longer at the day of departure without extra charge. The villa is an ideal place to feel comfortable, calm and relax. We really enjoyed our time there! We will definitely come again!!!! Fantastic stay! The area is excellent with the sea very close to the villas. The beach is very well organized with umbrellas, deck chairs, bar, sandy beach inside and out with crystal clear water. The villa is very clean and fully equipped with almost everything. You feel like home. Kind and friendly hosts, always available in whatever you need. We highly recommend! Lock in a great price for Aegean Residence – rated 9.6 by recent guests! Just 350 feet from Flegra Beach, Aegean Residence offers a garden and a BBQ. Located in Kallithea Village, it features fully equipped units with spa bath and views over the Aegean Sea. Free WiFi is available in all areas. Fitted with a fireplace and tastefully decorated, all air-conditioned villas of Residence have 3 or 4 separate bedrooms. Opening to a furnished patio, each consists of a living room with flat-screen, satellite TV and a kitchen with stove and dining area. A washing machine, a tumble dryer and an iron are included. Guests may use the BBQ facilities offered at the property. A restaurant, a bar and a mini market for the basic supplies can be found within 350 feet. A bus stop providing connection to several parts of the area is at a distance of 350 feet. Macedonia International Airport is located 41 mi away and Thessaloniki City is 53 mi away. Free private parking is possible at a location nearby. When would you like to stay at Aegean Residence? Το κατάλυμά μας είναι πολύ κοντά στη θάλασσα και στην αμμώδη παραλία της Κρυοπηγής. Προσφέρει ιδιωτικότητα και ηρεμία. Μένουμε μέσα στο συγκρότημα και είμαστε πρόθυμοι να σας εξυπηρετήσουμε σε ό,τι πρόβλημα προκύψει και να σας δώσουμε πληροφορίες για την γύρω περιοχή. Το κατάλυμά μας βρίσκεται δίπλα σε μίνι μάρκετ με φρέσκα φρούτα και λαχανικά. House Rules Aegean Residence takes special requests – add in the next step! Please inform Aegean Residence of your expected arrival time in advance. You can use the Special Requests box when booking, or contact the property directly using the contact details in your confirmation. The noise from the street is loud but you get used to it in a day or two There is no direct path to the beach, however the distance is short.